Good. 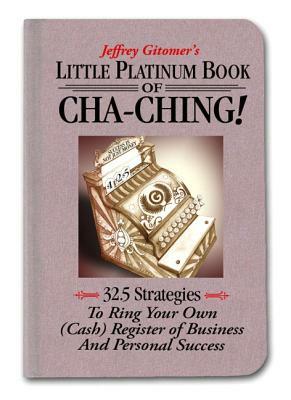 Little Platinum Book of Cha-Ching: 32.5 Strategies to Ring Your Own (Cash) Register in Business and Personal Success by Gitomer, Jeffrey, 2007-10-17. Sewn binding. Cloth over boards. 197 p. Contains: Illustrations, black & white. Good. 0132362740 1ST SEPTEMBER 2007. NO DJ AS ISSUED. COVER HAS LIGHT SHELF WEAR. 197 PAGE TEXT HAS VERY LIGHT WEAR. BUSINESS. 5.25'' X 7.75''. WE USE BUBBLE MAILERS.